Mia san Mia. That is the motto for the most winning club in Germany. It means “We are, who we are” and the club is naturally Bayern Munich. 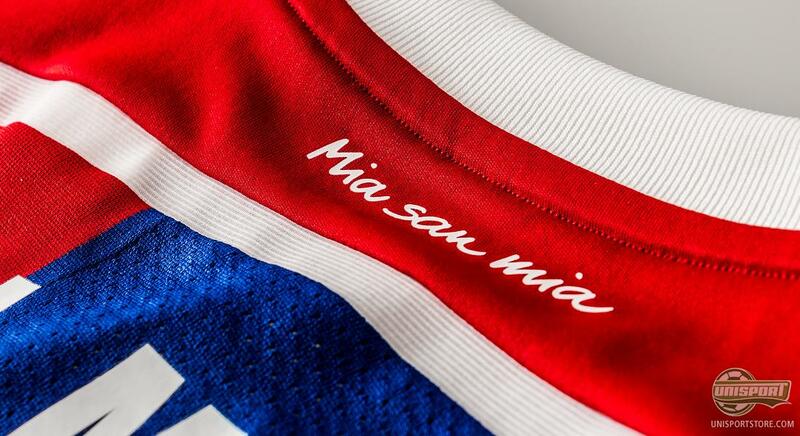 Adidas have today presented the club new home-shirt for next season and they have used the motto for inspiration. If you are in doubt what it takes to be a successful football club, then you only need to look at the German super club from Munich. With 51 domestic titles and 11 international honours Bayern Munich are the team you want to beat and the red/blue/white colours are among the most feared on the football pitch. 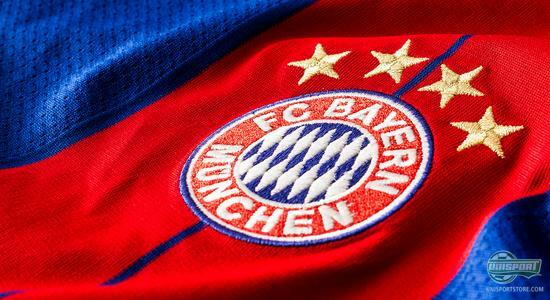 Is Bayern Munich your club? Pre-order the new shirt now – Just €78. The Germans are proud of who they are and are not scared to show off their colours. 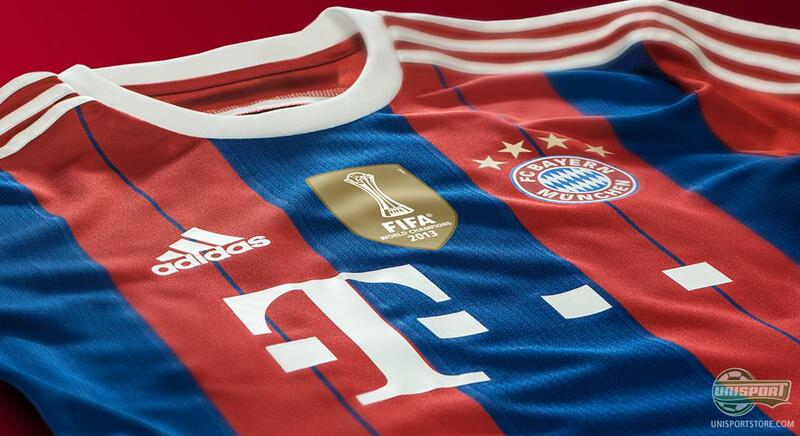 Therefore Adidas have given Bayern Munich a new home-shirt, which honours the three iconic colours with a design that combines classic and modern. The stylishly clean and simple look, which is dominated by red and blue, is supported by a white accent colour. This year Bayern Munich have been outstanding in the German league and were already able to celebrate winning the title, with a massive seven games remaining. A completely unprecedented achievement that beat the previous record of having six games to play, a record that was set by, you guessed it, Bayern Munich. Adidas are German. Bayern Munich are German. Adidas are hugely successful. Bayern Munich are hugely successful. You can probably see where we are going with this right? It is almost expected that the two parties work together and they have done so for as long as most of us can remember. Adidas know what the club and fans expect and there is therefore no questioning that the new home-shirt is spot on. 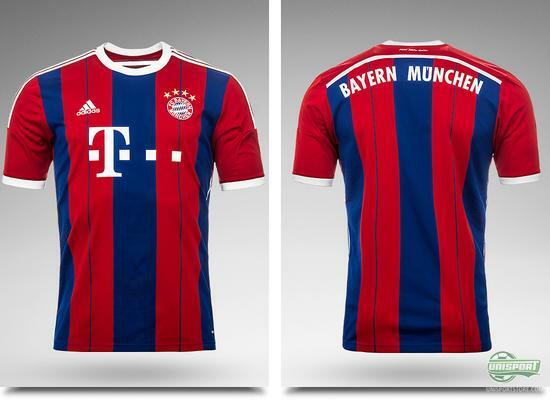 Show your Bayern colours by pre-ordering the shirt now – Just €78. 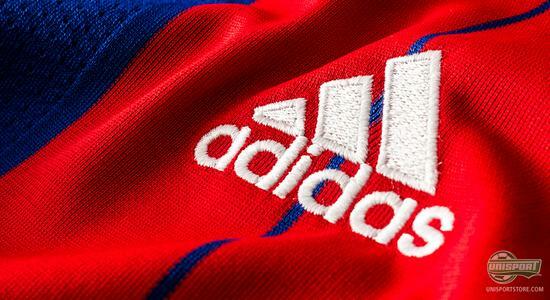 One of the clubs biggest profiles is left-back, David Alaba, who says the following about the new shirt: “Red, Blue and White – they are the colours that belong to the club. I can't wait to enter the action with the new shirt and fight for the club and our amazing fans”. Across the back of the shirt you see the clubs name, while you see their famous motto 'Mia san Mia' further up on the neck. At the same time the shirt is naturally made with all Adidas' newest technologies, so the players can focus on breaking records and not being annoyed by poorly produced shirts. 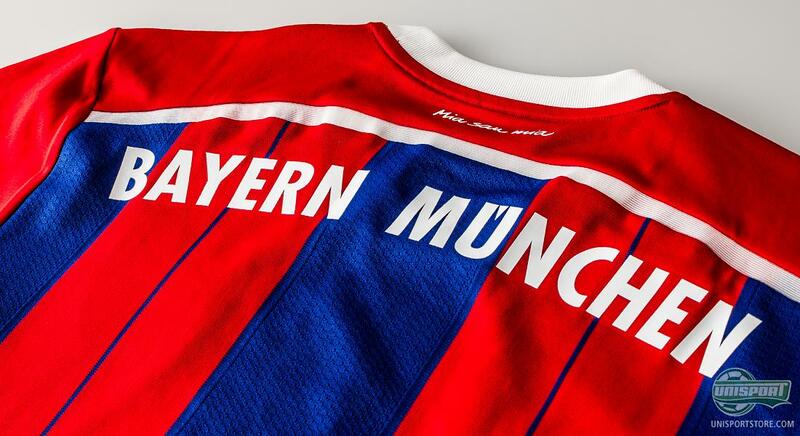 You can already pre-order the new Bayern Munich home-shirt now – Just €78. Adidas have made sure Bayern Munich are equipped with a new home-shirt, which embraces the pride and honour that the club is known for. 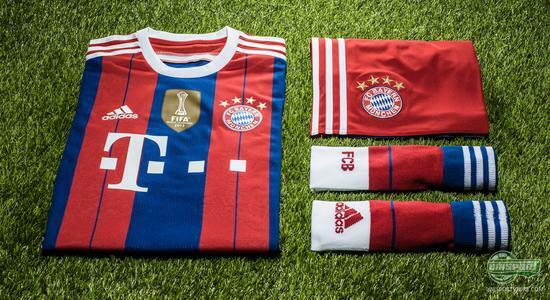 The shirt carries on the Bayern Munich spirit in every thinkable way and the iconic Bayern colours are sure to intimidate opponents, when they face the German giants next season. What do you think about Bayern Munich's new home-shirt? Does it live up to your expectations?